Thursday, March 14th At 7:05 p.m. | Arena Doors Open At 6:00 p.m.
90 Minute Power Play in the Budweiser Red Room 5:30 p.m. – 7:00 p.m. In the Budweiser Red Room, fans can get select concessions items at a reduced price price during the 90 Minute Power Play from 5:30 p.m. – 7:00 p.m.
Steve Armstrong & The 25 Cent Beer Band will perform in the Budweiser Red Room from 5:30 p.m. – 7:00 p.m. 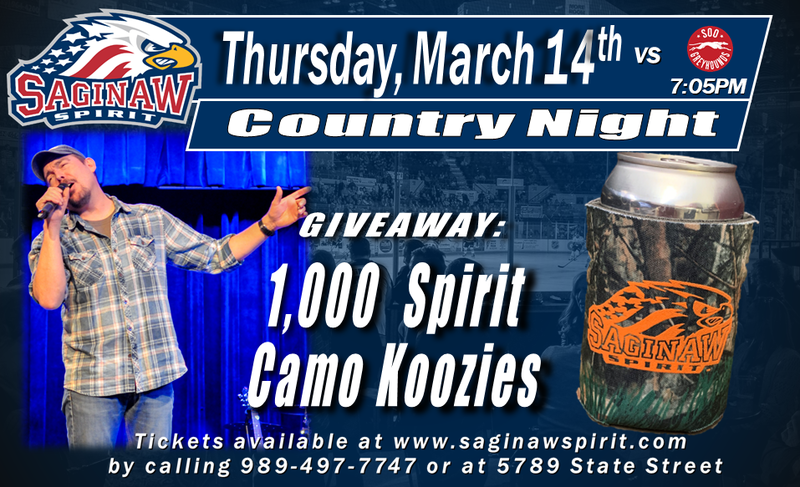 The first 1,000 fans will receive a free Camo Koozie upon entrance to the Budweiser Red Room. 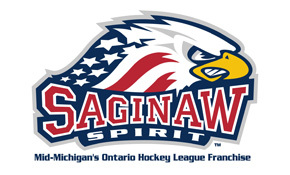 Tickets available at the Saginaw Spirit Store, by calling the Saginaw Spirit at (989) 497-7747, in person at the Dow Event Center Box Office (Open Monday – Friday, 10:00 a.m. – 5:00 p.m.), Ticketmaster.com (Additional Fees May Apply) or by calling Ticketmaster at 1 (800) 745-3000 (Additional Fees May Apply).